The B20 comes home, finally. 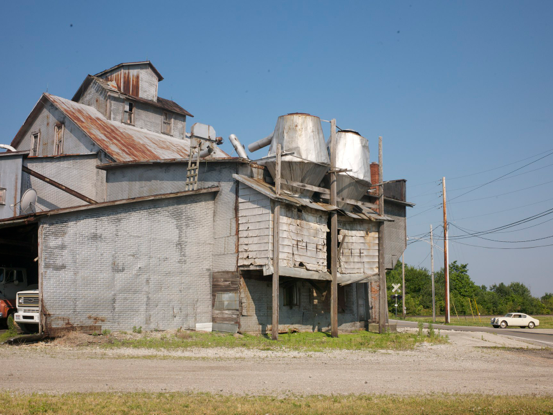 After wintering in Pittsburgh for a motor rebuild with new conrods with plain bearings, the car (and driver) braved 90º + heat, on a drive back across Ohio backroads, Indiana farmland, to arrive in Chicago. A late afternoon departure from Pittsburgh led to a wonderful evening drive in Ohio farmland – with the roads getting smaller, more obscure and more distant. An evening stop in Mount Vernon, with a lovely inn converted from a motel (recommended), and then a day of more country roads, up into Indiana and a quick visit to the Auburn Cord Duesenberg museum. There were many beautiful cars there, chassis and motors on display, and even Frank Lloyd Wright drawings along with other automotive art. A pleasant surprise. The run back to Chicago was late at night, to avoid traffic and heat on the expressway. The beige car is remarkably comfortable in extreme heat – while driving, windows open, the light inside is cool and pleasant. The new motor is quite strong and lovely. There are the odd things to take care of – whining cables to be adjusted – but the car is back to life and going strong. It remains quite compelling on the 2 lane road – cornering flat and without roll. Nice to have it back. My thanks to Walt for the thorough engine rebuild (now running better and finely detailed), and Bob Williams for fitting it and fixing other things. Good Aurelia friends and colleagues. 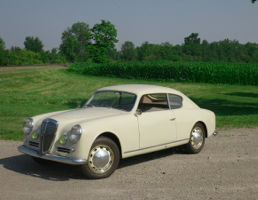 I have a Lancia Aurelia b203ª ser chassis 2912 in restoration but i dont know the correct color,can you help me. If you need some phpots i sem to you. Look to see if you can find some original paint under door sills or hidden somewhere. Else join Registro Aurelia and learn the original color. Also Centro Storico Fiat can sometimes help. 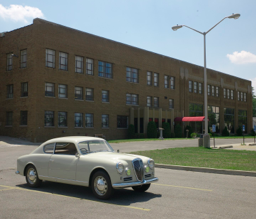 Got identified the color of my Lancia Aurelia is beije. Now i will see yhe correct paint color.